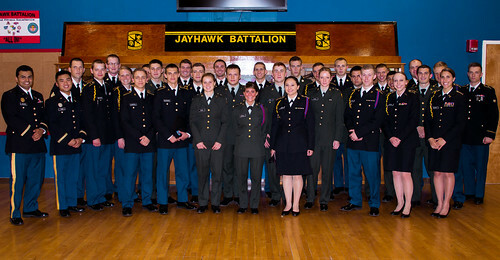 The Jayhawk Battalion will host the 25th Annual KU Army ROTC Ranger Buddy Competition (RBC) on 6 April 2019 at the KU Cross Country track at Rim Rock Farm (2276 Burnett Lane, Lawrence, KS 66044). Programs can enter up to 2 male, 2 coed, and 2 female teams. Programs must register online at Ranger Buddy 2019. Programs are responsible for all travel and lodging. For those interested, camping is an option at Rim Rock Farm. Make sure to read the MOI to make sure you have the mandatory equipment. Your ruck must weigh at least 35 pounds WITHOUT water and will be subject to spot checks all day.